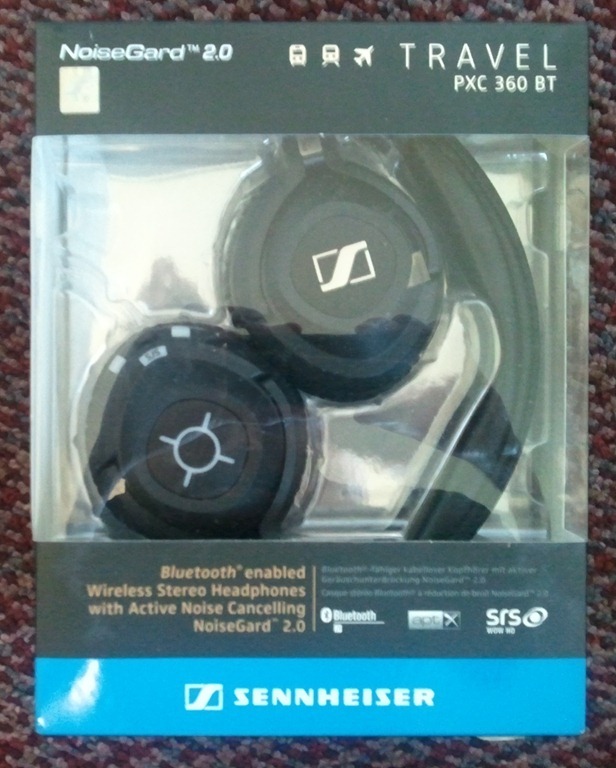 A couple of weeks ago I was looking to buy a pair of good noise-cancelling Bluetooth headphones and I stumbled across two new models from Sennheiser which were announced at CES 2011, namely the MM 550 and PXC 360 BT. I don’t like using a headset to answer phone calls, so spending more for the MM 550 was out of the question. Unfortunately, I felt like I was taking a gamble with the PXC 360 BT as I could barely find any reviews for the 360 which is somewhat understandable as it’s a new (and expensive) model. I hope this brief review helps others who are considering buying the PXC 360 BT. 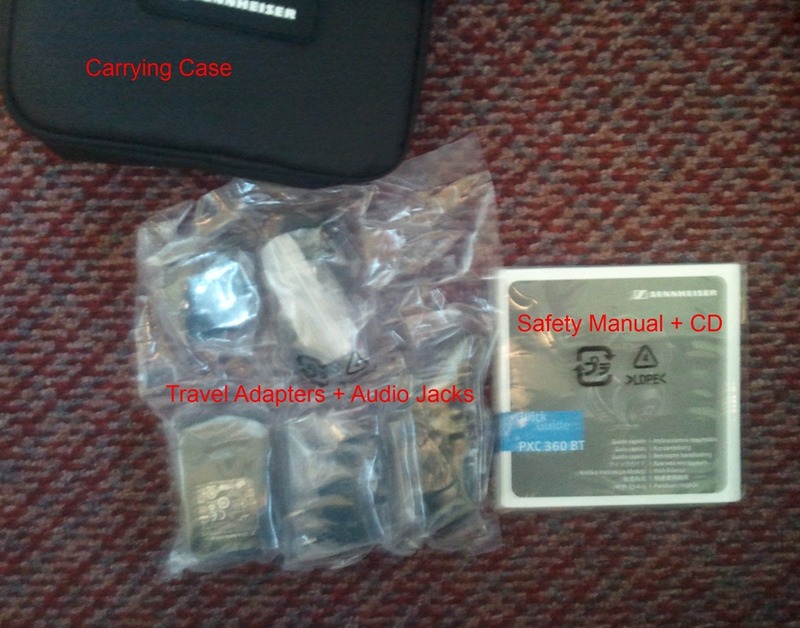 The CD included in the package contains a pdf version of the user manual in various languages. The 360 comes with a metal reinforced extendible headband and looks quite sturdy. 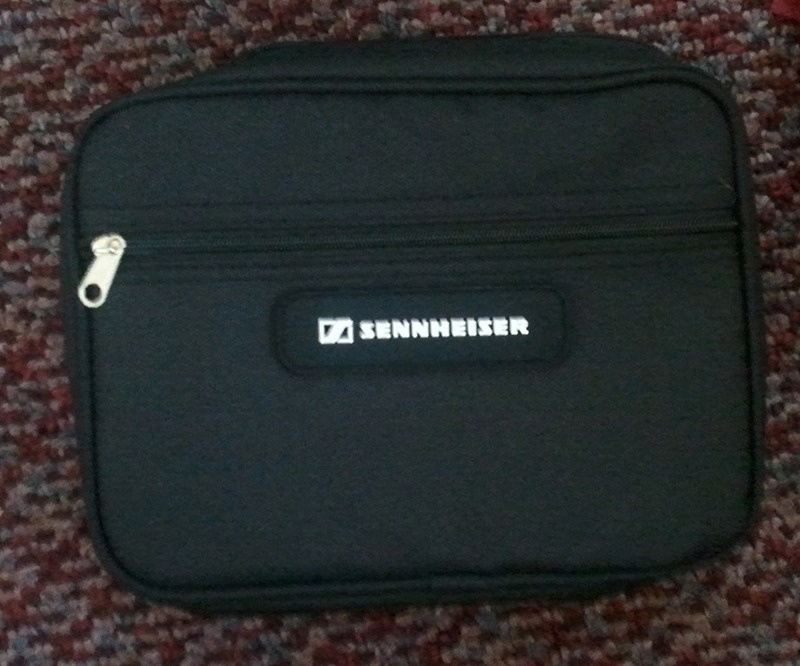 The soft, leather padded ear cups are foldable to a full 90 degrees and fit snugly inside the carrying case. The PXC 360 BT weighs about 180 grams and is a little heavier than it looks. However, they are comfortable to wear, even for long durations. 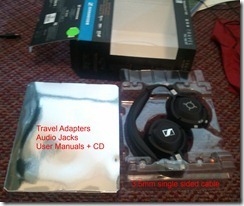 The battery is located on the left ear cup and is removable/replaceable. The right ear cup holds all the controls as well as the the audio jack. The buttons for toggling Active Noise Cancelling (ANC) and Bluetooth are located at the bottom of the right ear cup while that for SRS-WOW HD is located under the “reduce volume” button. The controls are intuitive but take a while to get used to. The button at the center controls Play/Pause as well as the master control to turn the headphones on and off. The ANC button controls TalkThrough and ANC. There’s also a Braille symbol for ‘L’ embossed on top of the left ear cup. Quite frankly, to fully appreciate the sound quality of the PXC 360 BT, you’ll need an external sound card or a headphone amplifier as the integrated sound card on your PC or notebook is probably not good enough to exploit the 360. The 360 reproduces music really well. All my previous headphones used to sound like they passed all the audio through a static equalizer before passing it to the ear cups, so I’m glad I can finally hear music the way it is. Although it does a really good job at reproducing the mids and highs, what really caught my attention was the quality of bass. It’ll knock your socks off. I mostly listen to hard rock and heavy metal where good bass is a necessity and the 360 doesn’t fail to deliver. For a regular user, I would say that the maximum volume is adequate. I wish I could turn it up a little higher but to be fair, being a “metalhead” I’m not satisfied unless there are two amplifiers blowing music into my ear. As the ear cups cover the ears, it reduces a significant amount of background noise (passive noise cancelling) so everything is audible even on low volume. I couldn’t make out any difference in audio quality when played via Bluetooth or the wired cable. I even tried comparing FLAC files (bit rates ranging from approx. 760 Kbps to 1100 Kbps) but I couldn’t notice any difference. The 360 even supports apt-X, but I don’t have any apt-X enabled device so I couldn’t test it. I’ve heard it sounds much better over apt-X. 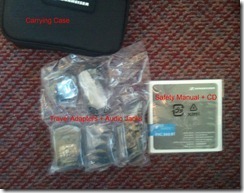 I own two phones (Samsung Captivate and Nokia N82) and the 360 paired with both of them in the first attempt. Unlike my previous headphones which would occasionally lose the audio signal in short bursts, in the two weeks that I’ve used the 360, it hasn’t lost the signal even once. The PXC 360 BT supports Bluetooth 2.1 + EDR along with A2DP and AVRCP profiles which permit fast-forward and rewind playback options as well. Bluetooth range isn’t an issue as I was able to receive an uninterrupted feed even when my phone was approx. 30 feet (with no obstructions) and 20 feet (with a wall in between) away. I didn’t face any interference issues from Wi-Fi signals nearby. The manual claims that the 360 can reduce background sound by up to 90%. Although I couldn’t “feel” the 90% decrease, it does a remarkable job at reducing low-frequency sounds. I use these headphones while biking and it manages to completely cancel out the sound of wind as it gushes past me as well as partially cancel out the sound of cars as they pass by. I haven’t had the opportunity to test it in-flight but since it cancels out all the engine sounds and humming noise from traffic and the exhaust fan at home, it should work in-flight as well. Unfortunately, using ANC comes at the cost of a lower bass output so use it wisely. SRS-WOW HD is the most useless feature ever as it makes music sound hollow. Only a few songs sound decent with SRS-WOW enabled but you’re probably better off without it. I don’t use this feature at all. I like this feature a lot. It basically lets you hear what’s going on outside without having to take off your headphones. There are microphones at the rear end of each ear cup that capture the sound from outside and feed it to the ear cups when Talk-Through is enabled. There is a slight delay but it’s barely noticeable so it’s not an issue. Overall, I’m very happy with these headphones. I like having the option to choose between wired and Bluetooth and active noise cancellation only makes it better. 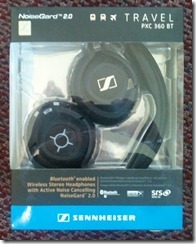 I’m also glad that I can use the PXC 360 BT as wired headphones even without the battery. I’d recommend it to anyone who’s always on the move. The Sennheiser PXC 360 BT retails for $589.95 but is available on Amazon.com for $329.99, which is still ridiculously over-priced in my opinion. What is the difference between the PXC 360 BT and the PX 360 BT? PXC360BT includes the noise cancellation feature which is missing in the PX360BT. Other than that, they’re exactly the same. If an incoming call arrives when the headphones are connected, the headphones enter a ‘paused’ state and it continues playing music where it left off once the call has been completed (this also depends on the source of the music, which in your case is the phone). No – the sound will not be sent to the headphones and Yes – the call can be taken even with the headset being connected but you’ll have to use your phone for the internal speaker and microphone. I don’t like using headsets to attend phone calls so I didn’t purchase the MM550, which like the PXC360BT, is supremely overpriced. there is a background noise when the audio cable is connected, which is very annoying. 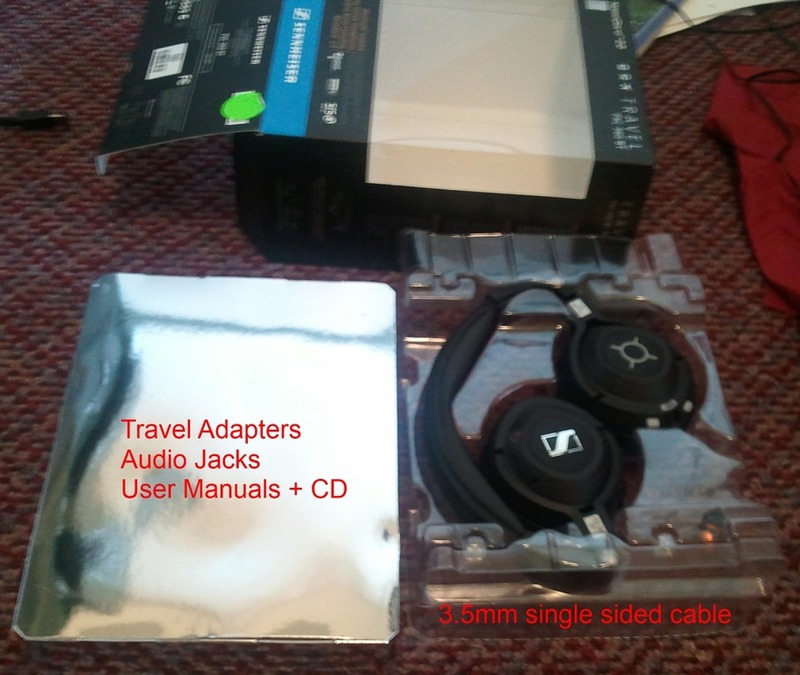 I have tried 2 pairs already and was told by sennheiser support that this is normal. sure I am going to return it. These headphones don’t just look good – they are that good, all the way down to their high-tech insides. Exceptionally comfortable and aesthetically pleasing, they provide a perfect example of what exquisite headphones Sennheiser specialists can produce out of pure enthusiasm and solid years of experience and expertise. The beige exterior of the HD 598 high-end headphones features high-gloss burl wood parts with matching earpads – all this slendour betrays the HD 598 earphones as pure unadulterated elite in the eyes of everyone around. 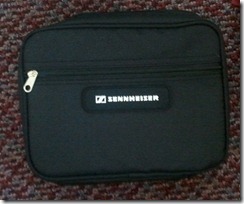 And people will be looking – Sennheiser products tend to draw attention. I’d like to ask you, is there any differences in sound quality between mm550 and pxc360bt? I haven’t had a chance to try out the MM550 but it is essentially a PXC360BT that can receive phone calls. There doesn’t seem to be any other additional feature. Should I wait till a better version comes out? Thanks for the review! It’s been already very helpful. If the battery dies, can you still listen only with the cable or does it need battery with the cable as well? It has to be wired. As soon your battery dies you can not use the Bluetooth feature. Thanks for the review. I own one of these and I have an issue with it. The sounds sounds too low, even at the highest level. No I do not have hearing problems. I saw that couple other people had this issue too. Do you have sound level problem with yours?